Our muffin mix is a very versatile and adaptable mix. It is a unique blend of whole grain flours for all the nutrition with unbleached flour to keep the baked goods light and fluffy. Get creative and experiment with adding raw or dried fruit or using fruit juice in replace of other liquids. Adjust the sweetness to your desired taste. The whole grain oats and flax give muffins a slightly nutty like taste with out being overwhelming. 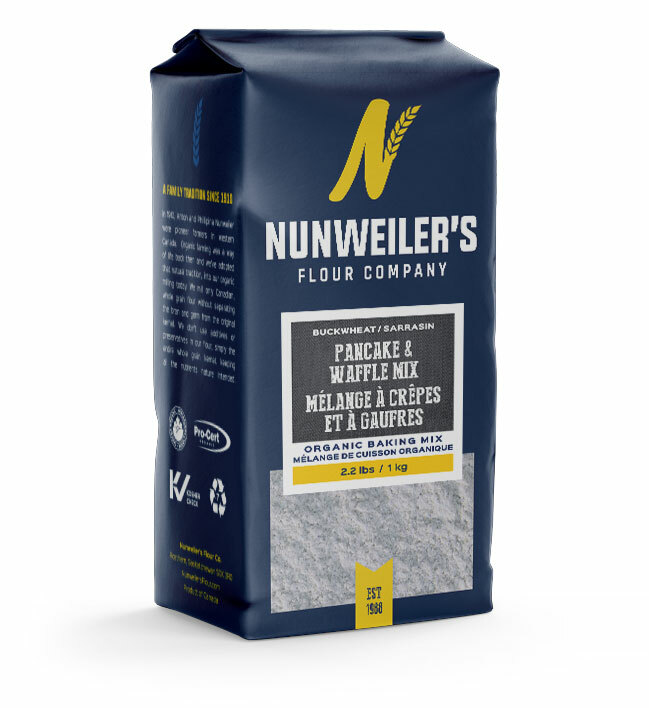 Organic Whole Wheat Flour, Organic Whole Grain Pastry Flour, Organic Unbleached Flour, Organic Oat Flakes, Organic Flax, Non-Aluminum Baking Powder, Baking Soda, Salt.